After nearly two years of commentary and research on Jupiter/Uranus conjunctions, with special focus on the 2010/11 one in Aries and Pisces, I am nearly done (in more ways than one! Being obsessed may be absorbing, but it is a tad tiring….) It will soon be time for me to move on to other things. Whilst I await their summing-up of the year 2010/11 from my ten volunteers who have stayed with the project all the way through, I am publishing a series of posts of a long essay I have just finished, reflecting on what Jupiter/Uranus conjunctions can tell us not only about our past, but also about our future…. Jupiter/Uranus is now settling into a new 14-year cycle, continuing with its ancient symbolic task of “seeing no limits, as it challenges old frontiers and reveals startling new vistas of experience and discovery”. As a human community, we have begun a new voyage into the Unknown. Comfort and security are never key features of such voyages…. Join me on this last journey of reflection, exploration and discovery by reading though the posts listed below, as they appear. Enjoy! Big Picture series Part Two: Jupiter/Uranus and the new world order? 001. 3 April 2011: Jupiter Uranus mission complete! 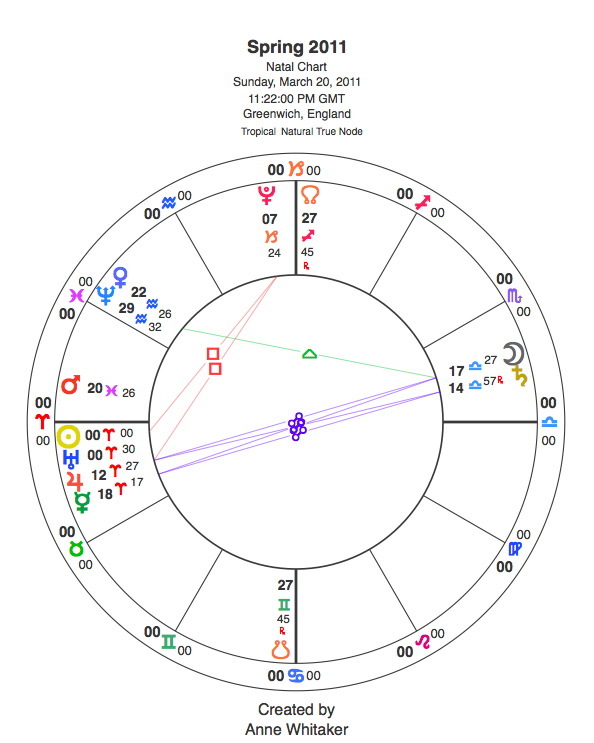 Jupiter enters Gemini: Surprise, surprise!